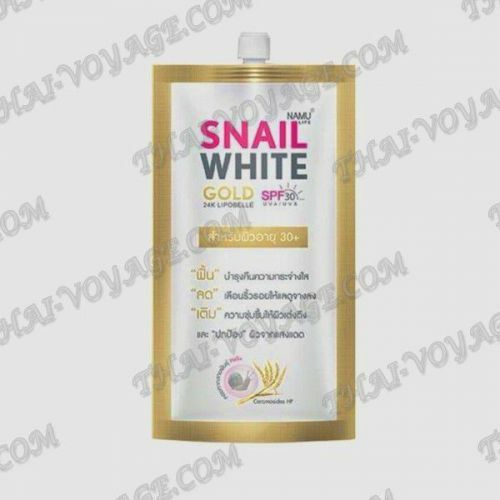 Snail White face cream combines snail slime extract, wheat extract, pure gold (24K Lipobelle). Snail cream rejuvenates the skin, makes it radiant, smoothes wrinkles, moisturizes, makes the skin elastic. Nano-sized gold particles help neutralize free radicals that cause wrinkles and premature aging. The cream penetrates deeply into the skin, stimulates the production of collagen, elastin and structural proteins in the skin layer. Use the cream in the morning and evening.